Not really a pet peeve.... but more of an observation. Bow ties are not for everyone! Few men can actually get away with it, yet more and more men are attempting it. Bow ties do not work on heavy set men, sorry guys they just don't. Instead of evoking a preppy-cool look, you end up looking like an uptight professor or worse, Re-Run from "What's Happening". People like Andre 3000 can pull off a bow tie, hell he can pretty much pull off anything (look up his Benjamin Bixby line). Remember this, bow ties work with slender/lean frames. Keep patterns simple and keep shirts fitted. It's a fine line between looking chic and looking like your part of the waitstaff at The Palm. The goal is to look like your not trying too hard. PS...Since we have brought back the bow tie, can we try to resurrect the white dinner jacket?? Think James Bond and Cary Grant. PSS...Tom Ford at the Oscars is the look you want when dressing formal! Get your game up! 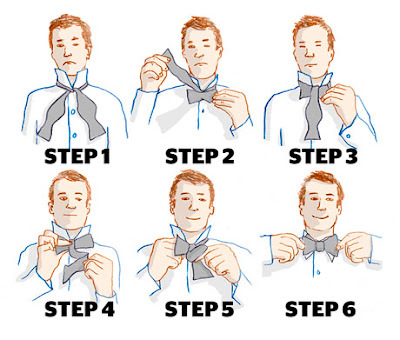 Why men do have a problem in bow ties? Well, do support them because they're worth it.